Abbots Lake is one of the premier big fish waters in the Lea Valley and offers angling for big carp, specimen tench and bream. The carping potential at Abbott’s Lake just keeps growing and there are now some 150 fish over 20lb with approximately 50 over 30lb, depending upon the time of year. These carp are in superb condition and are continuing to show weight gains each year. The fishing is not easy at this venue but the rewards are there for all with a little time and effort. The fish at Abbotts respond well to beds of particle, pellet and boilies and multiple catches can be had with well-positioned hookbaits. During the spring months the fish are quite mobile and can be caught from all over the lake, so it’s worth keeping your eyes open. There are two shallow bays/pools on the east bank of this venue and once these areas see enough warm sunshine the fish like to visit them. 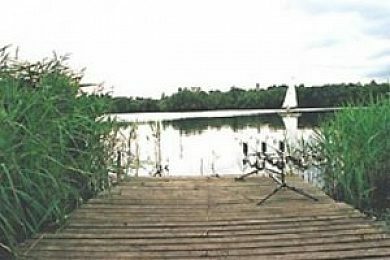 The lake does get very weedy during the summer months and the appropriate tackle should be used to cope in these situations. A heaver breaking strain line and safety lead clip system are advised. The specialist approach for the venue’s tench and bream is the way to attack these two species, with balanced mini-boilies scoring well. Again, when fished over a bed of particles, the angler can have multiple catches. The predators are somewhat of an unknown quantity at this venue. They don’t get angled for by many, or that often. In recent seasons, pike have been reported to 18lbs and perch have been caught, by accident, to over three pounds. Larger specimens have been seen smashing into fry in the margins. It’s going to take someone to do a bit of pioneering for a season or two before we can say for sure what the potential is. Permits for Abbotts Lake are valid from 1st April to 31st March.